As the final pick in the first round, my strategies for an ultimate fantasy team may seem a bit askew of the others. That being said, all of their teams are so terrible it’s hard to believe they subscribed to any strategy whatsoever. So I might have caught lightning in a bottle because my opponents all passed on it. 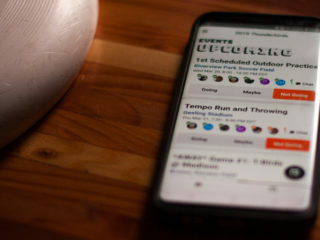 Having the last pick-first pick order in the snake draft ensured that my team is filled with two callahan winners, twice the number of Callahan nominees on both sides of the ball, two-time national champions, a two time AUDL MVP that somehow my opponents let slip to the last pick in the 5th round, and a possibly brownie-point based pick (which actually really isn’t). Rob Ford’s Toronto Rush brings legitimate, recognized dominance to every position on the field. 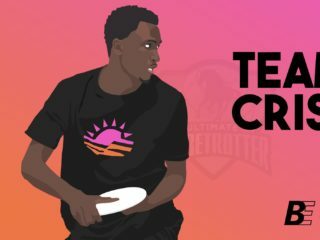 While I understand that the Callahan award is a collegiate accolade, and a two-time MVP for Jonathan “Goose” Helton is technically in the professional league and not in club ultimate, the fact remains I would want these guys on the line in any situation, from a one game pickup to a weekend long tournament against any club players you can place up against them. It’s been thrown around, mainly because of an article from when The Huddle did a similar draft, that the ideal team would demonstrate “versatility over speciality.” This is not a view I share when it comes to picking a fantasy ultimate team. Every member of Rob Ford’s Toronto Rush is a specialist in one way or another. In one-and-done situations, spectators will rarely see the costly mistake from any of them because they all do what they do so well. And many have been recognized for it. Add a practice between these guys before a one-and-done and it only decreases the chance for error, great talent can breed chemistry very quickly. Much of the team doesn’t even need to build chemistry as many have played with and against each other many times previous. From the first round to the last, every single player can fill up a stat sheet for the positive. The USAU website archives can certainly attest to that. At the end of the day fantasy is based on points, not effectiveness on the field. Big fantasy stats certainly do not dictate wins, and you’ll see that dicatated in my lack of Revolver players. Winning a Club Open Championship certainly takes an entire team effort, which isn’t necessarily the recipe for fantasy success. Especially if you split those guys onto multiple competing teams as this draft did. Ironic that it takes the last pick in the draft before someone gets this drafting strategy thing right. With seven picks already in the books, it was impossible to pass up on the big man from Doublewide by way of two-time defending champion Pitt. The transition from his absolute dominance at the past two years’ College Nationals to doing the same in the club game was seamless. Big plays we’ve come to expect and the ability to find the right throw in the red zone. Helped Doublewide to a 5th place finish, so the ceiling for Degirolamo is amazingly only further increasing on his ultimate career. Proven in the tournament format with Pitt, and definitely a player I want on my 7 O in one game for all the marbles for the same reason. Sure, someone’s got to put it to him, but Rob Ford’s Toronto Rush has plenty of talented throwers to allow Degirolamo to continue to dominate the cutter position. As the number one pick he has to answer the call of being a Beau breaker on defense. Not sure anyone can completely shut down the dragon writer, but there’s a matchup we’d all love to watch, am I right? Last year’s Callahan winner also had a smooth transition to club ultimate in another city. Understandably a staple in Johnny Bravo’s offensive unit en route to their 4th place finish at Club Nationals in 2013, and now a staple on Rob Ford’s Toronto Rush. In a tournament, put him in the handler position and in one game without practice just watch him sky and more accurately out-work anyone downfield. Big ups and even bigger upside down throws, Lance played with fellow Callahan winner Josh Ackley on Bravo this year, and would do the same in the O-line backfield for this fantasy team. Their previous play together, along with the six other Bravo players on this team eliminates the concern of having only one practice before a big game. Another final pick of the round in the third round and another downfield specialist in Driscoll. Joining his Doublewide teammate and fellow 2013 Callahan nominee Degirolamo in the downfield makes a formidable tandem that any club team would have trouble with. Because of his height and pure athletic gift Driscoll has been deemed a pure scorer, but throwing the scoring deep shot to teammate Degirolamo after a large upfield gainer is an often overlooked fantasy point getter from Driscoll, as well. “Richter” to most is a one man wrecking crew that plays with an intensity unmatched since day one. The ‘04 Callahan winner has been playing in Colorado since Mamabird and it’s his continued presence in the state allows Johnny Bravo to remain competitive year-in, year-out. Uncoverable as a handler with the intelligence of one of the longest tenured club players on Bravo, and this team. Capable at any time of a late tournament run by himself, throwing or scoring on trademark deadly strike cuts to the cone. Perhaps he can help with a late-round fantasy win for this team, as well. What can be said about the two time AUDL MVP that hasn’t already been said? The only way to describe his play is a man amongst boys, and that’s against the top club teams in the country. I had the privilege of seeing him play quite a bit at Heavyweights 2013 for eventual champs Machine and Goose was absolutely uncoverable. Scoring deep at will despite being planned for and schemed around, even in the final against a good Madison Club team. Impressive style of play, and the professional as well as club stats (and did I mention accolades?) to boot. A double-game point must, no matter which side of the disc he’s on. 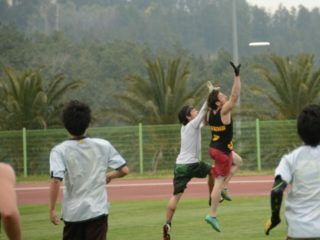 Alex Nord’s posterization in I Bleed Black I watched my sophomore year of college is the reason I continued to play ultimate. His dominance in his prime of his Club Open career echos that of the best in game today possibly even of all time. Yes, I mean Beau. You can’t teach height, and Nord’s definitely still got that (and the ability to use it everywhere). And don’t sleep on Nord’s throwing accuracy, either. Been on the Nord train since the beginning, it’s sad to see the kids don’t know him. I certainly know the name Nord, and glad I could get him as a steal in the late 9th round. By far the most valuable person to his Wisconsin Hodag team at last year’s College Nationals. His injury on day three made that unfortunately very apparent as Wisco could no longer hang with the other teams at the tournament. The same could be said about his club season with Madison. Valdivia and Camp have legit arguments here too, to be fair. Hart may be the exception to the “speciality” rule of this team. Tenacious, unrelenting defense, along with accurate throws of all distances, and surprising ups…the guy has got it all. Maybe there IS something to the opposing viewpoint. I still think not, but Hart makes it a darn good argument, and makes this team better. Purely a brownie points pick. After learning Muffin was a judge, I quickly scooped him up in hopes to get some easy points (is it working!?). I kid, of course. The real reason Malecek made the team was for consistently showing the ability to get off throws like this (even with a self-described lesser disc). A Skyd All-MLU 2nd teamer last year, and a constant force on the disc for Ironside, Muffin has the exact talent needed for Team Rob Ford’s D-line. Quick, one throw scores after a turn is one of the most effective ways to score lots of fantasy points on the D side. Malecek is the quintessential prototype for the D handler position, much like Richter is on the offensive side. Admittedly, the late round of the draft began to drag like jeans that are too long, fraying at the heel. In the late-round fray of the draft, my selection strategy changed to players I’ve seen play personally, and therefore knew I could trust in the described situations. But don’t think these guys won’t be major point getters for this team. Roehm was an O-line starter for 4th place Bravo, and has been for a couple years now. An integral part of the offense who garners a solid 2-3 scores and 2-3 assists per game, with the breakout ability to score much more than that. Konker, Morrissy and Zemel were the lockdown backbone of the Bravo D, and all posses the big play ability to score quickly after forcing the turn. Remember this from Konker? Or this from Zemel? How about this 14-14 layout D from Morrissy? That’s the kind of game changing athleticism that make these guys the defensive backbones of Bravo, the NexGen Tour, and of course, Rob Ford’s Toronto Rush. If you don’t know their names yet, you certainly will very soon. I like to think of these late round guys as the “job doers”. Certainly not the double-digit positive numbers of the first round picks, but positive producers none-the-less. Each one of these guys were influential cogs in their respective machines (Kolinek quite literally being this FOR Machine as well as the Windy City Wildfire), and all can be counted on for at least plus a couple. All also come without the occasional chance of a goose egg that might be laid by other late rounders on other teams. On that note, I’ve poked a lot of fun at the other teams in this draft, but the truth is all of the players selected are very close in terms of their (typically outstanding) performances. That means fantasy matchups could come down to a point or two in the end, and that’s where these guys come in. The guys that play consistently, and know their job game-in, game-out and are happy with just going out and doing it each and every time without too much consequence or fanfare. When all is said and done, these four guys being strategically placed in the last O or D line spots could be the ones who spell victory for Rob Ford’s Toronto Rush.